This fun decorative vinyl is ideal for your children's bedroom, playroom or nursery! 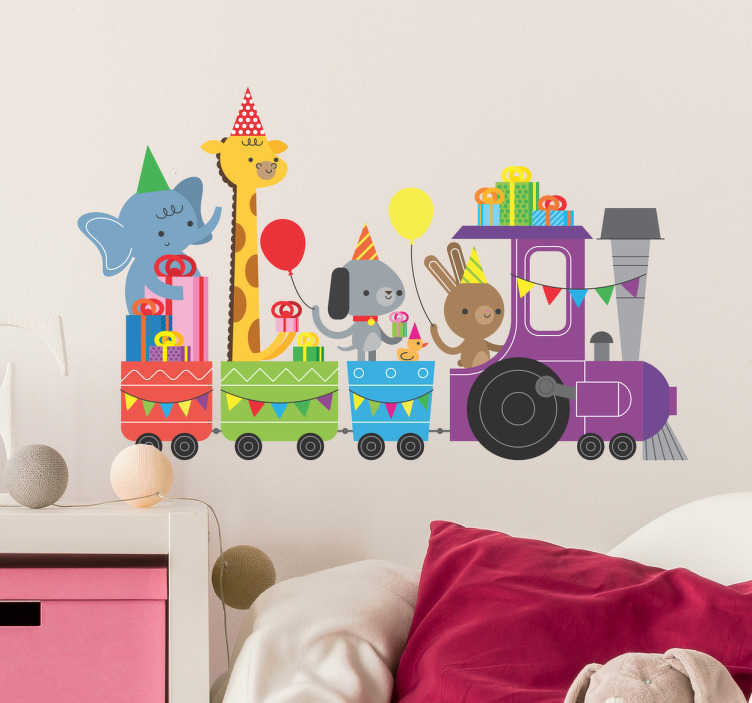 Featuring a party train full of animals (an elephant, a giraffe, a dog and a bunny rabbit), let your child join the party in their imagination! This high quality sticker creates a fun atmosphere, and can be applied to any hard surface. Available in a variety of different sizes, and if none suit you, get in touch and we can make a custom size!